Water polo is an Olympic sport played since the 1900s. This course, taught by an experienced coach, caters for water polo players of all abilities. The only requirement is that you must be a competent swimmer able to swim at least 50 metres. Throughout the week, you will cover a variety of skills, which will improve your game play from passing, speed and agility, defending and shooting. The course involves structured swimming sessions followed by progressive, skills in water polo. The course will cater for Boys, and Girls 17, and under. The only requirement is that the student can swim 200 meters. Each day we will be in the class room for an hour to go over what we have done in the pool, and to watch some dvds on water polo drills, and techniques ,that we are going to do the next day. Andy started swimming when he was young and swam and played water polo for Wiltshire and the South West, playing at every level of Water Polo in the UK from Division 5 to Division 1 British Water Polo National League. Andy also played in Australia for a season for Newmarket, winning the Brisbane League. He currently coaches swimming and water polo at Marlborough College, which he has done for the past 6 years. Andy also coaches the Wiltshire Junior County side, and is Captain for the Swindon Dolphin team and the Wiltshire Senior team. 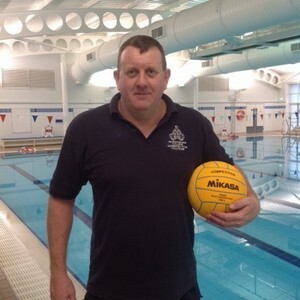 Andy is a Level 2 Swimming Teacher, a Water Polo Coach and a National Referee.